Joe's is the brainchild of budding entrepreneurial gardener Joe Page. Inspired by his love of the garden and all things green, Joe launched Joe's GardenCo (www.Joes-Garden.com) in 2010. However, in 2015 Joe felt it was time that the world of Lawn Care was introduced to a way of thinking that is fresh and simple, a brand that can be relied upon for quality, value, innovation and service. That's why Joe's have introduced a range of bespoke treatment programmes for your Lawn and garden Surfaces and Joe's Lawn Care was formed! 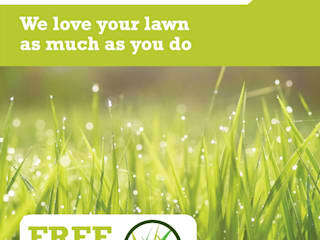 With a core focus on Lawn Care, Joe's specialise in the treatment of Weeds, Moss, Pests and Diseases. Joe's can also tackle all your outdoor garden surfaces including decking, driveways, pathways and patios throughout the seasons – With prices starting from as little as £15 no job is too big or too small! With over 30 years experience in the garden, Joe's is your local independent Lawn Care expert in Leicestershire offering a helping hand all year round.